100% Free Cadbury Creme Egg with Coupon – 1 Day Only! Simply head to your favorite store that works with SavingStar (See all participating stores HERE), purchase the item above and then submit your receipt to SavingStar for a 100% cash back refund! Try a Poise Sample Kit for FREE! Choose a free sample kit HERE to experience the comfort and protection of Poise®. Let us know if you score this freebie in the comments below! Head to your nearest Dollar Tree this week to see if you can find this freebie! 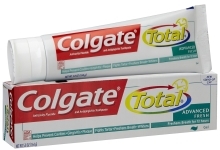 See more of this week’s Dollar Tree deals HERE! 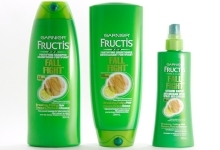 When you’re out shopping this week, stop by your nearest CVS to pick up this fabulous freebie! See more of this week’s great CVS deals HERE! Tuesday, March 8 is National Pancake Day! 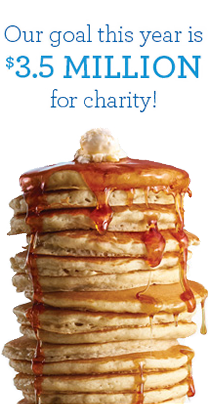 In celebration, IHOP will be giving away a free Short Stack per person. In return they ask that you give a donation to Children’s Miracle Network Hospitals. Will you be getting your free pancakes? Let us know in the comments below! 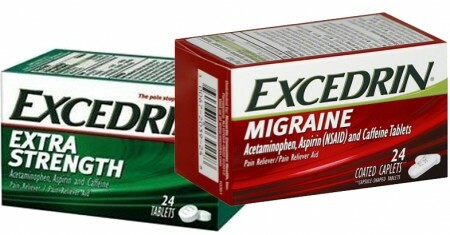 I don’t know about you, but Excedrin is the only pain medicine that actually takes away my headaches for good. And it’s fast! Sign up HERE for free special offers from the makers of Excedrin® Be the first to know about special savings from this brand! Celebrate Dr. Seuss’ birthday with a FREE gift! Every new member will receive a free Dr. Seuss Reading & Growth chart for a limited time. Show young readers how they can grow with books! Record reading milestones while you mark your child’s growth inch by inch. The Reading & Growth chart comes with Dr. Seuss stickers to personalize your child’s name and the Dr. Seuss books he or she has read. Don’t miss out on this terrific keepsake and fantastic Dr. Seuss books at a great value! Get your free gifts HERE now! Who will you be sharing these free gifts with? Tell us in the comments below! Get an adorable FREE faux fur kids hat from EskimoKids.com with promo code: ENBABY – A $35 value. Just pay shipping! Who will you get one of these cute hats for? Tell us is in the comments below! Don’t miss this great freebie – Save 100% when you buy ONE (1) Dark Chocolate YORK Peppermint Pattie (1.4oz. only). Do you have a new baby or know someone that does? Order up a FREE Nursing Pillow! Start HERE and click on “Shop Now” and select the Nursing Pillow of your choice in any of our 9 prints! Once you have made your selection, you’ll automatically be directed to the shopping bag. Enter the promo code: ENBABY and we will deduct 100% off the cost of your selected Nursing Pillow – all you pay are the shipping fees! Remember: the promo code is “ENBABY” and you can use it more than once – just open a new browser window each time you do. For a limited time you can upgrade to a super soft Minky Nursing Pillow for only $5! Who will you be giving your nursing pillow to? Tell us in the comments below!